New Profit Welcomes Kate Anderson To Our Team! New Profit is pleased to welcome our newest team member today. Kate Anderson has joined us as Special Assistant to Managing Director Tripp Jones. As Special Assistant, Kate will serve as a trusted adviser to provide high-level administrative support as well as strategic support on Tripp's responsibilities within field leadership, development, deal support, board relations, communications and talent. 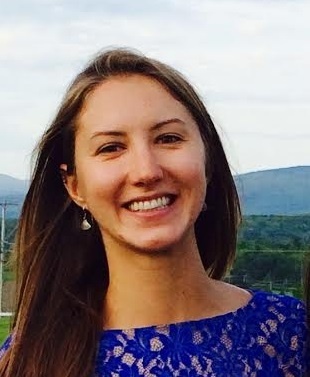 Kate graduated from Williams College in 2011 with a double major in Biology and Asian Studies. Upon graduation, Kate was a founding teacher at the STRIVE Preparatory Charter Schools Green Valley Ranch (GVR) campus in Denver, CO. In her role, she wore many hats as a trusted adviser to the Principal, a 6th and 7th grade Math teacher, a curriculum designer, partnership builder, team manager, administrative support, and as a volleyball, soccer and step team coach. Kate spent her last year pursuing a variety of projects, including a three-week sea kayaking leadership development course through the National Outdoor Leadership School (NOLS).